Seven-member commission is down to six with the resignation this week of Rich Michelson. The Martha’s Vineyard Airport commission will interview four finalists for a new airport director Monday. 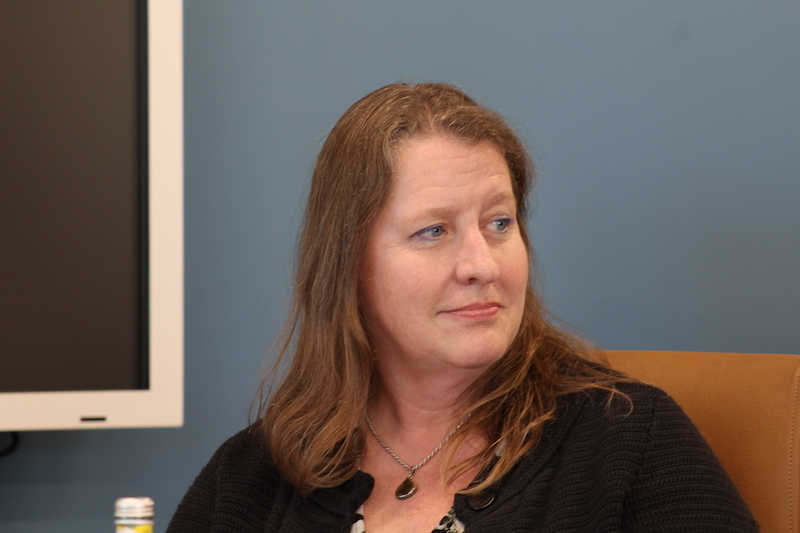 Director Ann Richart will leave May 5 to take a job as state aviation director in Nebraska. A search for her replacement began in February and is now nearing an end. Airport commission chairman Robert Rosenbaum announced the candidate interviews at a meeting Thursday. He declined to release the names of the finalists, although he did say assistant director Geoffrey Freeman is one of them. The other three are from off Island and will fly to the Island Sunday for a tour of airport facilities, Mr. Rosenbaum said. Public interviews will be held at a meeting that begins at 9 a.m. Monday in the airport business office. The interviews will be followed by a commission executive session for a possible decision. “If we’re able to reach an agreement, we get a new director. If not, we’ll have to go back and redo things,” Mr. Rosenbaum said. The candidates were selected by New York-based ADK Executive Search, which assisted with the search. Ms. Richart took the helm at the Island’s only commercial airport three years ago. 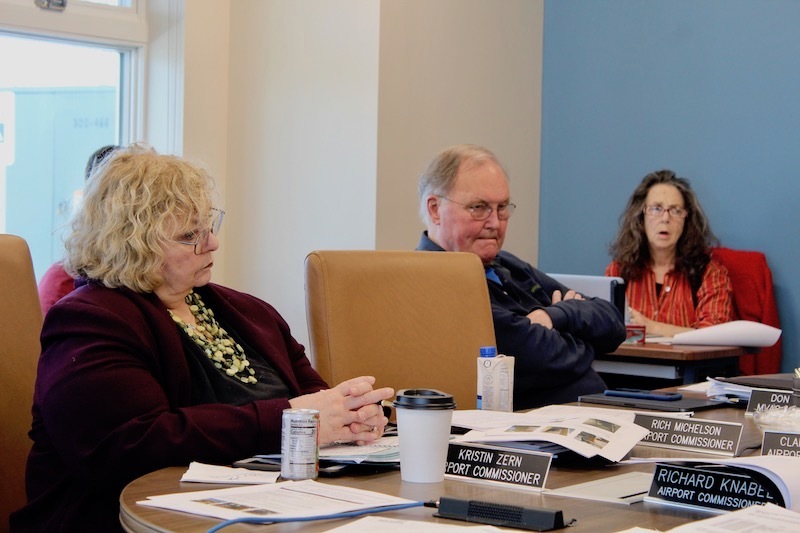 At the meeting Thursday, Ms Richart said she was proud of the airport’s progress during her tenure, pointing to the construction of the airport rescue and firefighting building and ongoing runway rehabilitation projects as examples. She urged the next director to focus on the “growing pains” of airport facilities. And she applauded Mr. Freeman for his dedication to the airport. “Geoff is an outstanding asset to you, and I hope you recognize that, in whatever position he continues to serve. He knows where the good stuff is, and he knows where the problems are,” she said. Commissioners praised Ms. Richart’s leadership and wished her well. “Sometimes the goings are hard...the way you’ve handled the goings is amazing,” said commissioner Don Ogilvie. “It’s been really a great opportunity for me to work with you,” added Mr. Rosenbaum. In other business, finance committee chairman Richard Knabel said efforts to hire a comptroller have been unsuccessful to date. Mr. Knabel said offers were made to two candidates who both declined. He said four more candidates will be interviewed over the weekend. In January an independent consulting firm found numerous problems with the airport’s financial reporting practices. Among other things the consultants recommended that the airport hire a comptroller who is certified in public accounting. Matthew O’Brien, an engineer with McFarland Johnson, said the main runway repaving project is on schedule to be completed on May 15. He said he also expects to receive approval from the FAA next week to release additional land in the airport business park for development. He also reported that a well house in the business park that has asbestos and lead hazards will come down on May 2, allowing for more development. “Everything right now is aligning and everything is going smoothly,” Mr. O’Brien said. Mr. Rosenbaum reported that commissioner Rich Michelson has resigned. The seven-member commission will be down one until the county appoints a commissioner to fill the seat. “It will be just the six of us going forward until the county figures out what to do,” Mr. Rosenbaum said.